New Mintigo Research: Should Newly Married Women Take Their Spouse’s Last Name? After three years of sharing our lives, falling deeply in love, developing sincere friendship, experiencing a rare combination of passion, comfort, laughter and serenity, my significant other and I decided it’s time – we’re getting married! However, as excited as I am to be the blushing bride, I can’t help but wonder if I’m truly ready to change my last name after 30 years of growing, working, and developing my identity. Women are stronger and more independent in today’s world, so should we still maintain this tradition of the wife taking on her husband’s last name? Should I change my name and will it affect my career path in any way? Luckily for me, I’m a data scientist at Mintigo, and because our predictive marketing platform tracks thousands of data points for millions of contacts and companies across the world, I decided to see what kind of insights that I can glean from the data to help me answer these questions. Change my last name to my spouse’s last name (a.k.a. ‘the traditional way’). For example: from Diana Prince to Diana Kent. Add my spouse’s name to mine, before my maiden name. For example: from Diana Prince to Diana Kent Prince. Add my spouse’s name to mine, after my maiden name. For example: from Diana Prince to Diana Prince Kent. My spouse and I both change our last names. For example: Diana Prince and Clark Kent to Diana Wayne and Clark Wayne. To conduct my research, I analyzed a sample of records found in Mintigo for about 100,000 women in the US who have changed their last name (i.e. either added name or replaced name) in the past year but stayed under the same job title, in the same state, and in the same company. The assumption behind this rationale is that women who stayed in the same job position over the course of a year and changed their last name got married during or before that year time span. My preliminary findings were not much of a surprise – the majority of women go with tradition and replace their last names. 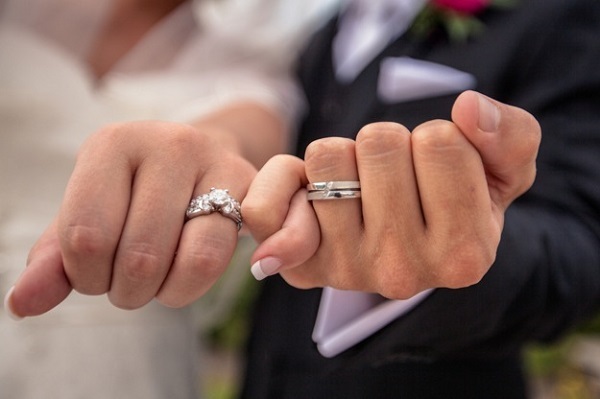 According to a 2013 Huffington Post survey the number of women taking their significant other’s last name after marriage is on the rise again. This finding made me even more interested in knowing the profile of women who add their loved-one’s last name to their maiden name, especially as it relates to where they are in their career as indicated by job role level. It was surprising to find out that students usually do not add a new name. I also found out that as you gain a higher level job role in your career path, it’s more likely you will add a name. In both cases, the choices in last name changes for students who get married relatively young and those with higher level job roles may simply be related to age factor that aligns to the timeframe in their careers. Based on the US Bureau of Labor statistics in conjunction with my research from Mintigo data, women who add their spouse’s last name to theirs are statistically getting paid more than the ones who replace their last name as indicated by the types of job roles. To be more precise, the job roles in which women are more likely to add last names fall within a higher salary bracket in the US. Yet, the same findings also show that women who add to their last name are in job role categories that typically have a more substantial gender wage gap such as finance, marketing and IT. Compare this with women who replace their last name and work in roles such as registered nurses, teachers, consultants and researchers that typically get paid less overall but equally to men. According to a recent article on The New York Times, keeping maiden names is on the rise again, which is contrary to sociologists’ claims that for women, “keeping their maiden names has lost its significance in defining their independence and its symbolism as a feminist act”. The same New York Times article references a Google Consumer Survey that reported “roughly 20 percent of women married in recent years have kept their names”. About 20% of women keep their maiden name; whether it is done from feministic point of view is somewhat inconclusive but it is definitely trendier nowadays then the last two decades. 22% of women add their spouse’s name and statistically getting paid more than the ones who replace their last name. It’s no surprise that the majority of women change their last name, but interestingly this is also a trend on the rise again since the 1990’s. Eilat is a Data and Research Product Manager at Mintigo. In her role, Eilat leads the envisioning and development of new data capabilities that help marketers drive new insights, execute better campaigns and increase ROI. Her expertise includes machine learning, statistics and data modeling.